Grim’s doesn’t skimp when it comes to big, pickled garnish. 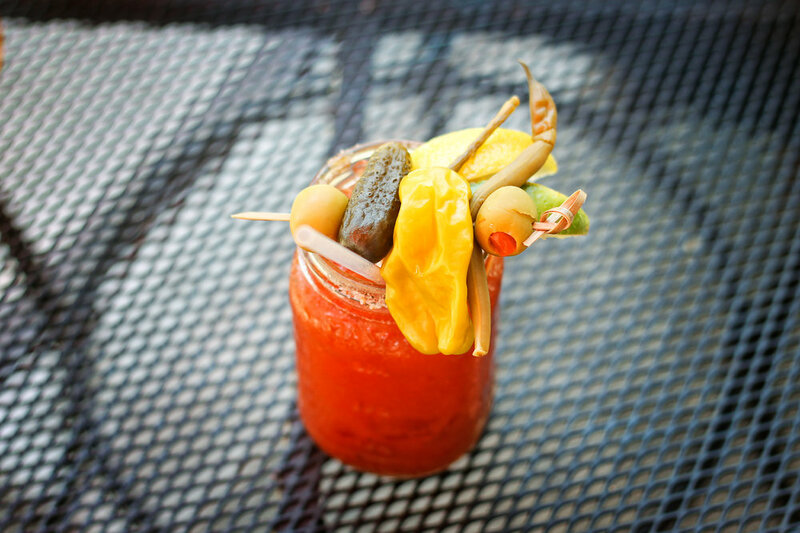 Lemon, lime, pickled green beans, olives, a pepperoncini, and a full pickle top this mason jar bloody mary. 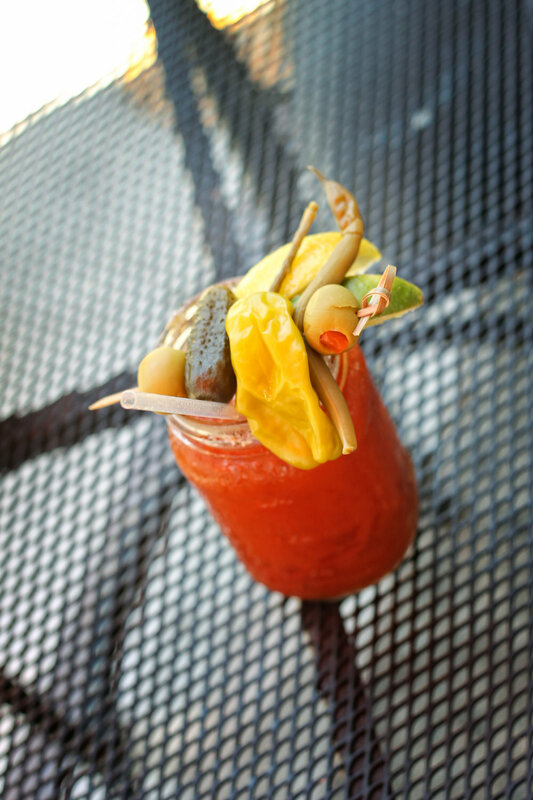 Strong and very spicy, the lingering heat and flowing tomato juice make this bloody mary perfectly suited for long bouts of day-drinking fun.